Fin needs a vacation. He’s signed up for Shady Sal's suspiciously cheap — and possibly deadly — Round the World Tour. Hey, money's tight when you're a working fish. 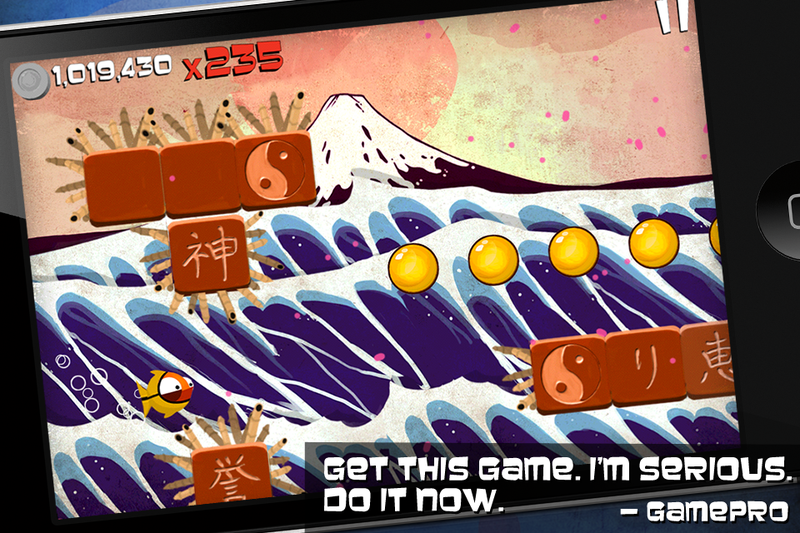 Mighty Fin is an addictive arcade game that's easy to pick up, hard to master... and impossible to put down. 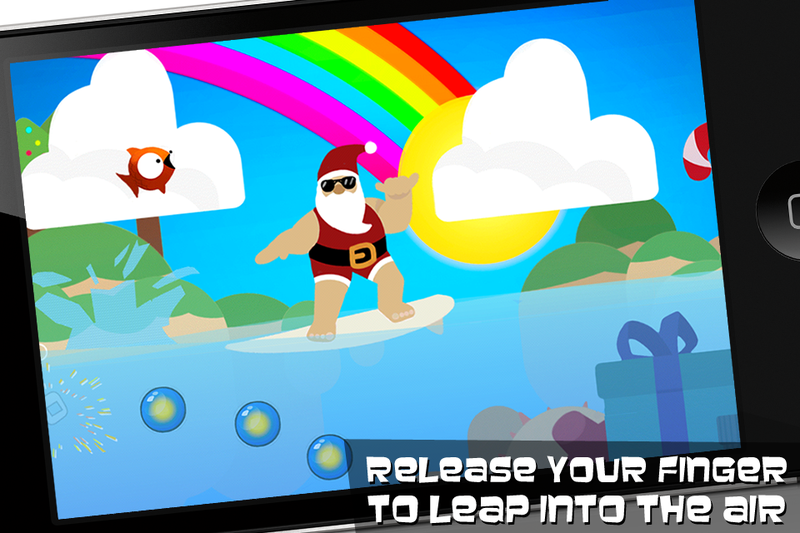 The controls are simple: touch the screen to dive and let go to soar through the air. 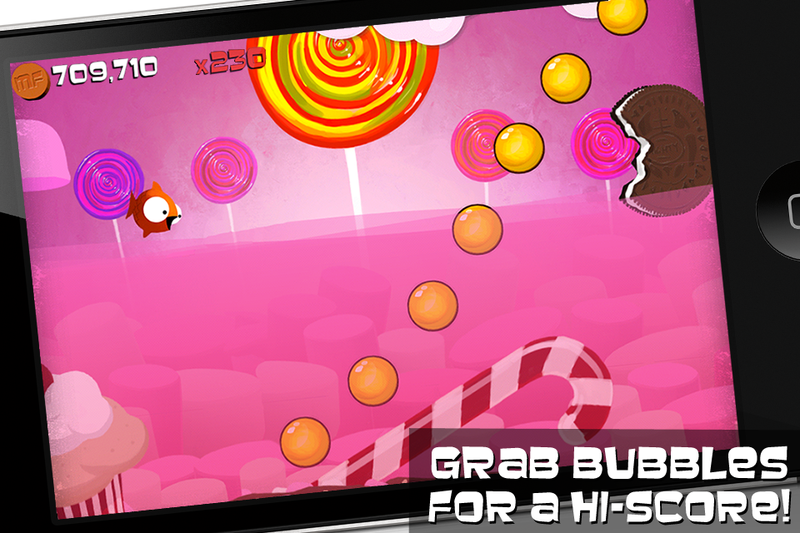 Duck and dodge to defy death, and leap through bubbles for a high score. Enjoy THREE unique individual adventures all in one game, each with its own style, artwork and gameplay. 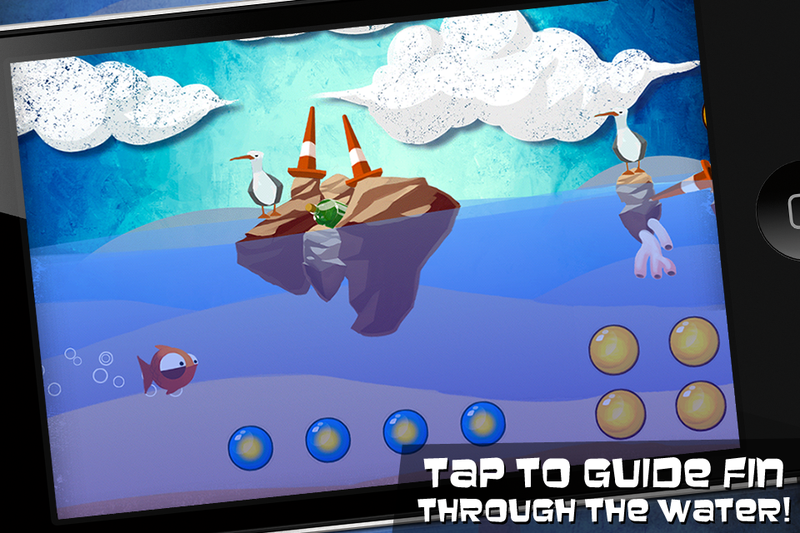 Leap over lighthouses, swim under icebergs, and try not to get eaten by hungry sharks in the Original Adventure. Then in Fin’s Extended Vacation, dodge pirate cannonballs, ride futuristic hovercars, sail over ninja shuriken and evade gigantic sponge cakes in a soda stream sea. And now, go crashing through Santa's Workshop, pilot a jetboat and uncover the mysteries of a surreal Tim Burton-inspired haunted holiday in the all-new Seasonal Spectacular. Hi everyone! This week we're celebrating the release of our new game 'Monster Flip' with six new themed costumes. Just head left in the costume shop to play as a gaping Glurp, curious Jittering, hyperactive Hypapop, terrified Fleen, sleepy Snuzzle, or even as the magnificently rectangular Doctor Kuboid himself! Also in this release: support for iOS 5.1, and a bug-fix so that the game runs properly on the new iPad.